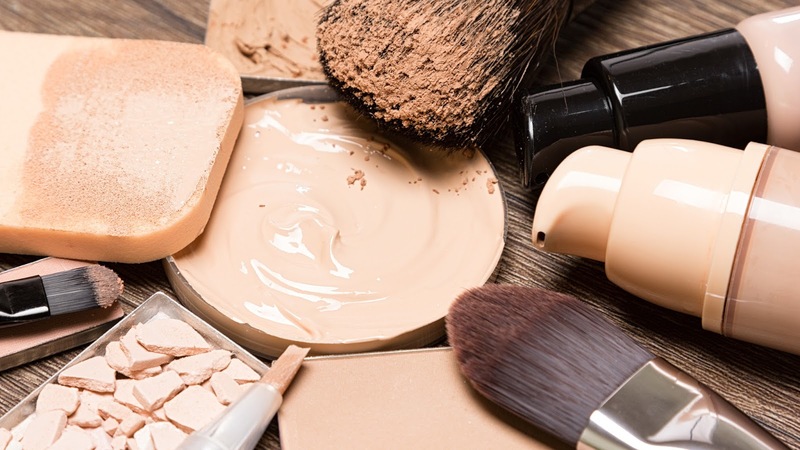 Beauty Care Choices: Are You Using The Correct Foundation? With So Many Types of Foundations, How Do You Know Which One is Best for Your Skin Type? The struggle is real and can be totally confusing; especially with the ever-evolving make-up industry. Remember the old days when your only options were liquid or powder? If only it were that simple now. And what if you're actually adding years to your age by using the wrong product, then you're defeating the whole purpose of make-up! Don't worry, we're here to help! Pressed Powder Foundation- Matte finish, medium-full coverage. A powder is the least hydrating foundation and is great for oily skin. It also photographs nicely. Can cause your skin to look flat. Liquid Foundation- Soft matte but glowy finish, medium-full coverage. It is hydrating, great for all skin types, buildable and provides a natural finish. A liquid foundation can feel heavy, but most are lightweight and some are formulated anti-aging ingredients! CC Cream- Sheer finish, very light coverage. This is best for those who do not want to look like they are wearing any make-up. It is going to provide you with lots of moisture, SPF protection and is great for dry skin. CC Creme should give you a more even skin tone. Perfect to use as a primer or underneath a foundation. Did you know? CC stands for "Color Correction". BB Cream- Natural finish, light coverage. It's ideal for combination skin and works as an SPF, Primer, foundation, concealer, and moisturizer. BB Creams are great for layering. Did you know? BB stands for "Beauty Balm". Tinted Moisturizer- Flattering finish with light coverage. Great for dry to normal skin types. Hydrating without being too greasy or shimmery. It can be used alone or as a primer. 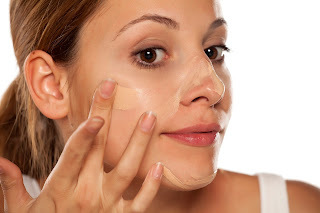 Tinted moisturizers are the best for evening out your skin tone and complexion. Submerge your make-up sponge in water and remove all excess water. Then, distribute your foundation using the dampened sponge. This will ensure a smooth and flawless finish as it evenly distributes the product. It is also a great anti-aging technique to use since it also prevents your cover-up from settling in unwanted creases, aka wrinkles. One very simple trick to keep in mind when layering powders, creams, and liquids are to always apply powders over the top of a cream or liquid. If you love to use cream blush, contour or highligher make sure to use it under your powder foundation. Products that contain talc are very hard to blend and is also very drying. I love wearing foundation and have tried so many different brands and types. Right now I'm loving the spray foundation. I also love a crème powder foundation because I can apply it easily and quickly even on the go!